Hailed for modern man-management, openness with a normally fiercely critical press and putting his faith in youth, Gareth Southgate has avoided many of the pre-tournament pitfalls that have undone his predecessors as England manager. However, the real test of Southgate's abilities to lead his country on the biggest stage will come when England face Tunisia in their World Cup opener in Volgograd on Monday. When Southgate was promoted from his role as under-21 manager in the wake of a scandal that saw Sam Allardyce sacked after just 67 days and one match in charge of Three Lions last September, the appointment was labelled by many as uninspiring and a safe option by the Football Association. Yet, Southgate's tenure has so far defied expectations. Joe Hart and Jack Wilshere were among the more experienced names jettisoned as he picked the third youngest squad on show in Russia. Off the field, he has fostered a relaxed atmosphere while also facing up to difficult issues such as fears over racial abuse in Russia and left-back Danny Rose revealing on the eve of the tournament he has suffered from depression. 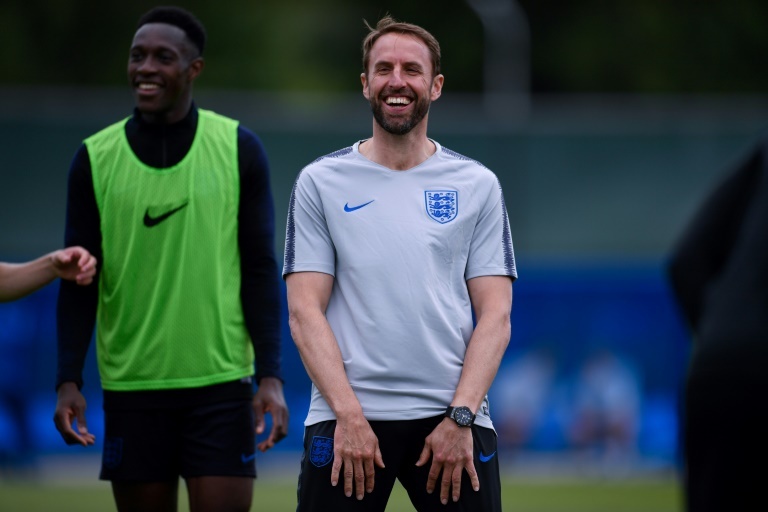 "He’s empathetic, he's articulate, he has high emotional intelligence and a really good understanding of connecting with the players and getting the best out of the players – and the staff," said the FA's technical director Dan Ashworth. Southgate also drew the sting from the only media storm to blight England's preparation when Raheem Sterling was criticised for a tattoo of a gun on his leg. "It's his calmness, the way he handles situations within the group and difficult situations that always occur before tournaments," said midfielder Eric Dier. Just two years ago the media were banned from asking questions about darts competitions among the players at Euro 2016 as a tense atmosphere around the camp was reflected in a series of dismal performances that ended in a humiliating defeat to Iceland. This time round in the sleepy seaside resort in Repino, 45 kilometres north-west of Saint Petersburg, England players are taking on and beating the press pack at the oche. On paper that shouldn't be their only victory in Russia with opening games against Tunisia and Panama offering the chance to have qualification for the last 16 sealed before facing Belgium. Warm-up win over Nigeria and Costa Rica stretched England's unbeaten run to 10 games, stretching back a year, and including impressive friendly results against the likes of Brazil, Germany, Italy and the Netherlands. But questions remain over whether Southgate will be able to change a game in England's favour. His previous managerial experience amounted to just over three years at Middlesbrough that culminated in relegation from the Premier League, and his England under-21 side boasting Harry Kane failed to get out of the group stages at the 2015 European Championships. Southgate, though, seems determined to erase the fatalism that has come to define England in a 52-year wait for success at major international tournaments. "That's been a danger in more recent history thinking about what the problems might be, how it might feel if it goes wrong, we know all of that. Frankly I've dealt with it in the past. We've got to focus on what might be possible with this team," he said when selecting his squad. Near-perfect preparation complete, Southgate needs England's first win to start a tournament since 2006 to keep the feel-good factor going.